Make sure that your property is as clean as possible with a professional deep cleaning service from One-Off Cleaning! We can offer you one-off cleaning assistance that won’t disappoint you, with cheap prices, award-winning service and experienced team members. Our company in Temple specialises in domestic cleaning that will guarantee the results that you want to see and with fast, reliable and top-quality assistance you can always get the quality of service that you deserve! We serve all properties within the EC4 and WC2 with our brilliant services, so why not let us lend you a helping hand with your home cleaning? Pick up the phone now and make your appointment by calling us on 020 3397 3282! How Can Our Teams Help You? We want to provide the best cleaning service for all of our clients in EC4, which is why we make sure that our one-off cleaners have the right training, knowledge and experience. All of our specialists are friendly and dedicated and with our diligence and attention to detail your home will soon be as sanitary as possible. Our one-off spring cleaning options in Temple are perfect if you’re moving to a new home, if you’re expecting guests, or even if you just want a thorough and penetrative clean! We’ll save you hours of hard work and we can guarantee amazing results that you and your family will love. Make your booking with us today! There are lots of ways in which our one-off cleaners in EC4 can benefit you. We have flexible working hours, including a same-day service, to suit your needs and schedule. We’re also able to provide amazing value for money thanks to our cheap and competitive prices! Whether you want a one-off clean or end of tenancy cleaning, you can make great savings with us, with exclusive offers to help your money go further. We have no hidden fees and you can even claim your money back if you’re unsatisfied, making us the ideal choice for you. Contact our teams now to get a free price quote and to see how much you can save! Call 020 3397 3282 now! What Can You See in Temple? 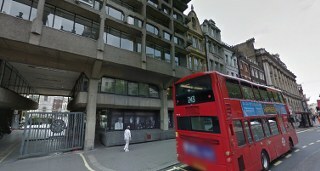 Temple is located in central London, within the EC4 and WC2 postcodes. Known for being one of London’s most famous legal districts, Temple was originally the precinct of the Knights Templar over seven hundred years, and this is from where its name originates. There are some beautiful sights to be seen in the area, including the Inner Temple Garden. Other notable places include the Royal Courts of Justice, which are located to the north. Travelling around the area is fast and easy thanks to the Temple London Underground station. There are also many bus services for commuters. If you want your house cleaned in Temple then our teams are ready to assist you! One-Off Cleaning has lots of experience, friendly teams and a range of ways to help you with your one-off cleaning! We don’t use any harsh chemicals and our services are suitable for homes with pets. We use top-quality cleaning equipment that is fully cleaned between uses and we’ll sanitise every inch of your home in no time at all. If you want professional, reliable and affordable cleaning for your property in the EC4 or WC2 hire our one-off cleaners today! Call us on 020 3397 3282 to find out more about how we can help you, or to reserve your appointment. You won’t regret hiring us!